As technology advances in the world of photography, a passionate crowd of professionals, students, and hobbyists is returning to the darkroom in search of a more authentic, handmade feel to their art. 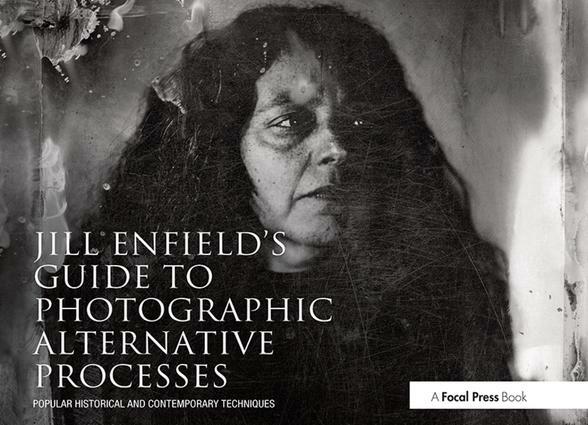 Jill Enfield’s Guide to Photographic Alternative Processes　shows how to do just that. Packed with stunning imagery, how-to recipes, techniques, and historical information on the evolution of processes, this guide provides the instruction to emulate the ethereal, dream-like feel of alternative processing. Whether in a darkroom using traditional chemicals, at the kitchen sink with pantry staples, or in front of the computer re-creating techniques digitally, you will learn how to add a richness and depth to your photography like never before. Covers alternative processing from its historical roots up through digital manipulation. Showcases the different styles and processing methods of various artists. Includes suggestions for vegan and vegetarian-friendly alternative processing! Introduction. Chapter 1 SAFETY WITH CHEMICALS. Chapter 2 A GUIDE TO MATERIALS AND TECHNIQUES. Chapter 3 THE DIGITAL NEGATIVE PROCESS AND OTHER ARTISTIC APPROACHES TO MAKING AND PRINTING NEGATIVES. Chapter 4 FUGITIVE AND NOT-SO-FUGITIVE PRINTING: ANTHOTYPES, PHOTOSYNTHESIS, AND LUMEN PRINTS. Chapter 5 CYANOTYPES: THE OLD AND NEW APPROACHES. Chapter 6 SALT AND ALBUMEN PRINTS. Chapter 7 VAN DYKE BROWN, KALLITYPE, AND ARGYROTYPE PRINTS. Chapter 8 PLATINUM AND PALLADIUM PRINTS: THE WARE-MALDE TECHNIQUE AND THE ZIATYPE TECHNIQUE. Chapter 9 WET PLATE COLLODION. Chapter 10 LIQUID EMULSION PRINTS. Chapter 11 GUM PRINTING. Chapter12 TRANSFERS, MULTIPLE PRINTING, AND OTHER TECHNIQUES. Chapter 13 CERAMICS AND PHOTOGRAPHY. Sources. Bibliography. Conversion Tables. Jill Enfield, one of the most experienced and respected hand-coloring artists in the United States, is a fine art, editorial, and commercial photographer. She has taught hand-coloring and non-silver techniques at Parsons The New School for Design, Fashion Institute of Technology, New York University, Long Island University, and the International Center of Photography in New York, as well as at workshops throughout the United States and Europe.